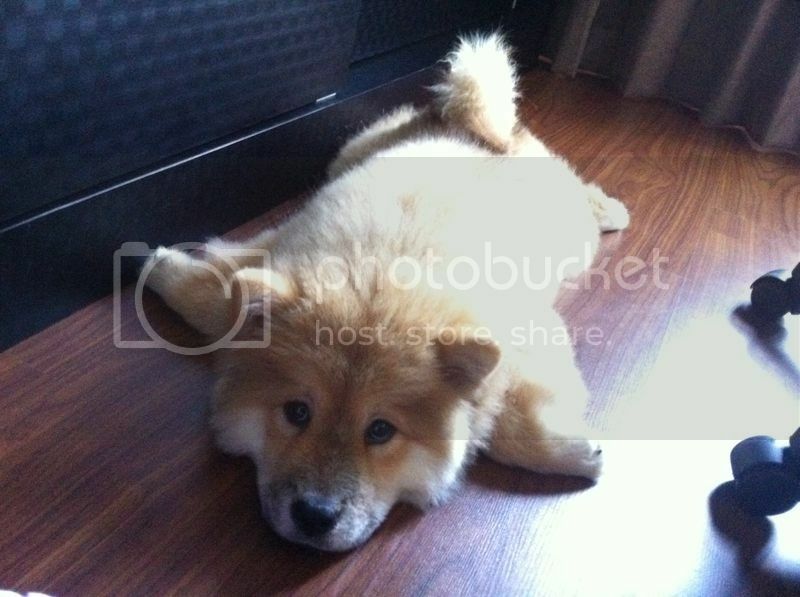 Does Your Chow Frog Dog??? Here is Brutus frog dogging, he has always done it but mostly does it when he's really happy. 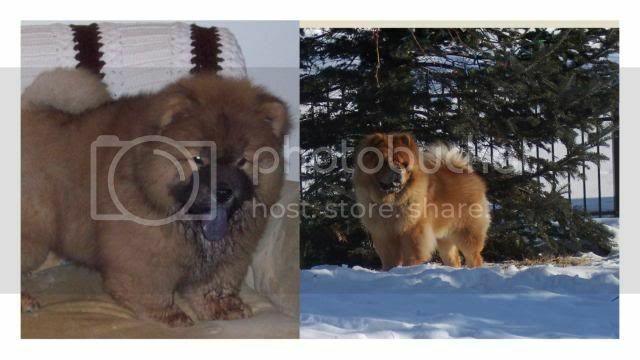 Our last chow only stuck out 1 leg and our first didn't stick out any. Just wondering how common it is with others on here. 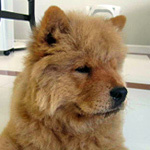 Re: Does Your Chow Frog Dog??? When he was a puppy, he did one leg a few times, but that's all. Fozz and Humph sometimes like to sleep like that and it always makes me smile. Humph also likes to sleep with his body completely twisted in two different directions - looks really odd. So funny when I read this. Matilda does it daily and i love it. My first chow did not do this. So I don't know why some do and some do not. Matilda's a pretty happy mellow girl. 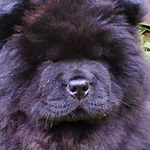 My first chow was more serious and on guard all the time. 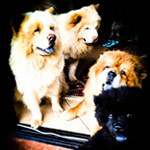 All chows and many other breeds will at least attempt it. It shouldn't hurt their hips unless there is something wrong with the joint already. They do it to get their bellies completely on the ground, or floor, they do it to cool off. My first two used to scratch the ground in the yard clear of the grass and top soil to get to the cooler earth underneath and then lay like that. In the picture Buster has his belly on the floor, he's cooling off a little. My Firesong does it all the time, she's 11.5 years old and has NO joint issues. She has wonderful joint health and always has. that's why she has always been able to jump up onto something four feet high from a stand still, just like a cat. 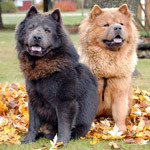 If people bred their chows to be able to do things like that there would be far fewer chows with joint problems. Tippsy never did it that I recall... And I dunno if Cinder ever did either. Jasper use to do it. He stopped about the time he hit 6 months old. Dixie has never do it either.... But ALL of my poms have done it. I think it's the cutest thing ever. Rory does it about half the time. My daughter calls is Superman pose...reminds me more of Underdog. Since it seems to be done mostly on the wood or tile floors rather than the carpeting, i agree, its a cooling technique. Brutus does it mostly after running around the back yard with Lexi. Then he will lay on the tile floor to cool as Victory said. But chewing on a nylon bone as shown in the picture above he likes that rug. Cassie does it most of the time! and IT IS always something that I wanted to capture on camera, but then she sees me coming and will break her pose and come to greet me tail wagging. I suppose I can't argue with a surgeon, but my thinking was that flexibility is a good thing. I was concerned when Brutus first did it as a puppy but saw online the dad of Martha Stewart dog 1-800-Hot-Stuff doing it on Facebook. I figured if that breeder thought it was ok then I shouldn't worry. I've heard it may be a sign of good hips but can understand that it puts a dog in a bad position. I didn't see it on here and kinda new someone might bring up that it may not be good for him but thought he's so darn cute when he does it, it should be posted. I glad it's common and hope more would post picture of their dogs doing it. 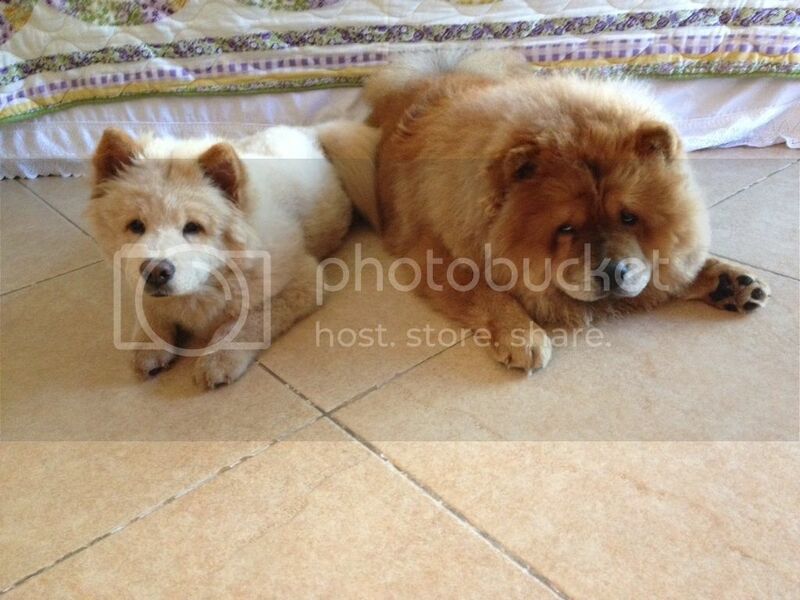 are always in that position, if they find a cold floor (aircon) and lie down. It is indeed the best way to maximise contact with a cold surface in a hot climate. Simba is moving to a new spot during the day as soon as he has warmed up his current place. 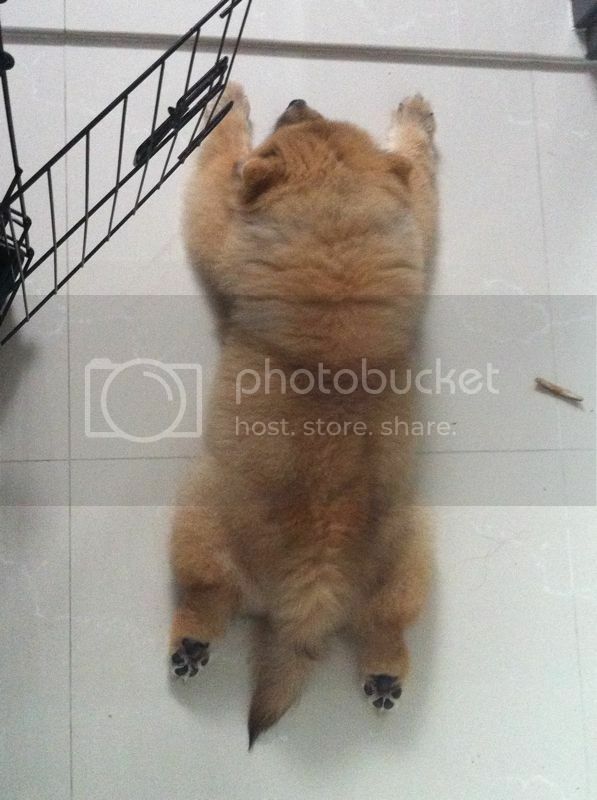 I think the frequency of a chow doing this position is depending on his or her need to find cool spots. I actually came downstairs from doing laundry this afternoon and found Dixie laying like this in the kitchen with Snooki and Jasper (Jazz was the only one not doing it, but he did have one leg straight out behind him). That's the first time I've ever seen Dixie do it, but weather she does it or not, it doesn't bother me. If it was bad for their hips, there would be a lot more dogs who do it that would have hip problems. Milly Ching always used to do that but her sister Mabel very seldom did. Matilda and Maisie do very often and I think it is so cute! My daughter's little Border Terrier does it - he flops down with his little spindly legs stretched out behind him - it is so funny. Brutus is not alone! Ours have all loved this position. None had any health issues or predisposition to joint issues(fortunately). 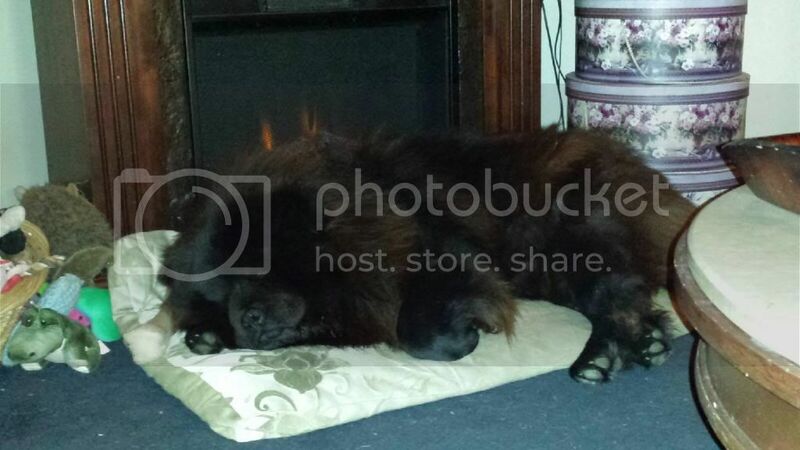 Balou was in this position on the very day he passed to rainbow bridge at 15. I adore it! I have noticed it does coincide with the need to cool down with ours. Favorite spot to sprawl in our home, the slate floors in the entry or bathrooms. We have hardwood and area rugs in the res of the house, but the slate always prefaces for cooling. Great picture very handsome Brutus! Our 5 month old golden ret. has done the frog since we got her .. 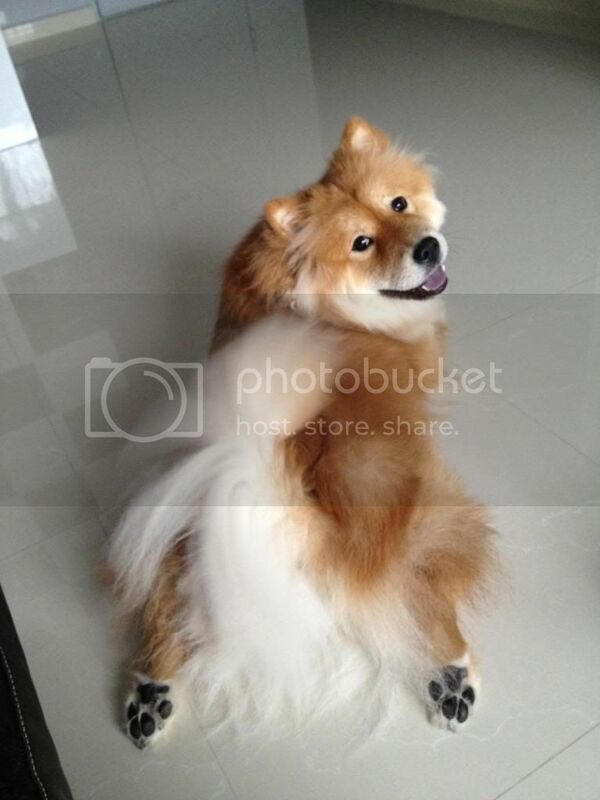 Buddy did this all the time, Baby never and Cocoa did as a puppy but now it is usually one leg out one under. With Buddy sometimes he seemed to flatten himself right out into a bear skin rug. 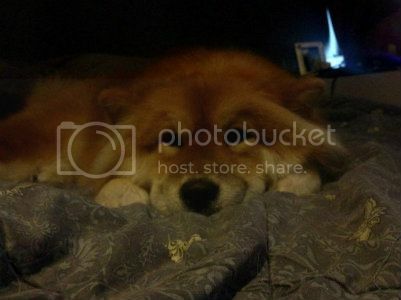 Nancy, the pictures of Bella are adorable. 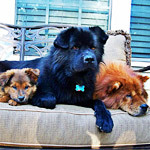 karenmarie- That's for your comments of Brutus, he really doesn't know how handsome he is and really is the sweetest chow to anyone he meets. I see you are in Iowa, where? We are in Minnesota. 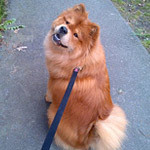 chowpups- glad to see yours pictures, she looks happy. Everyone else- Lets see your frog dog pictures. Last edited by 612guy on Fri Nov 30, 2012 6:21 am, edited 1 time in total. Mine does it all day long, she even plant her head on the floor and her face looks like a pancake. It always make me beam a smile when i see it. Nala and Simba "doing it" the frog dog. Sadly ... neither Leo nor Max do the frog. >>>waaaah haaa haa haaaaaaaa<<< Our Kimba would do that occasionally, but mostly just one hind out. Max doesn't even do one while Leo will occasionally do one. Ah well, I guess that just means they're not perfect. >>sniff sniff<< Nah ... never mind, they ARE perfect!!! I love 'em just the way they are!! !